Team Ireland are making their mark on the Special Olympics in Belgium with a haul of 15 medals and 10 ribbons in the first few days. Malahide swimmer Darren Breen (15) took silver in the 25m Freestyle competition in a personal best time. The seven-a-side men's football team are also on track for a place in the finals having beaten a Belgian team early in the week and Israel yesterday by 3-2 in a very tight match. 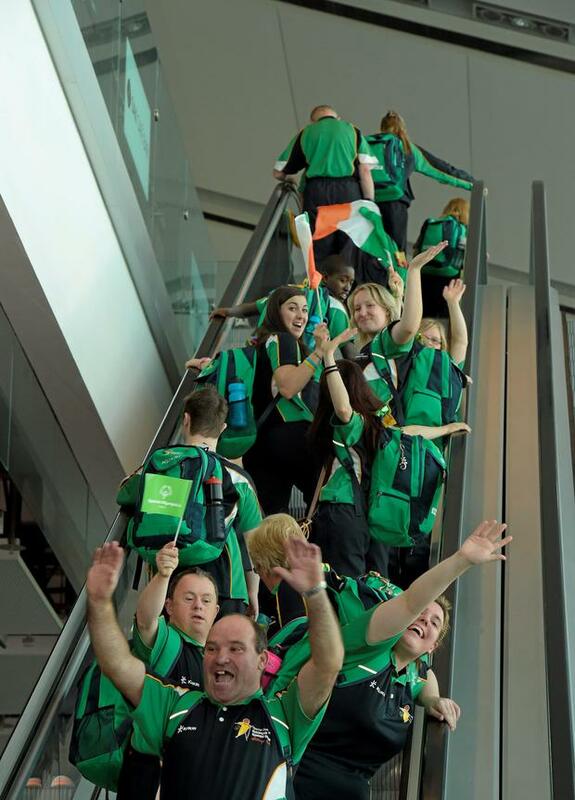 The Irish team of 46 athletes are among more than 2,000 sportsmen and women with intellectual disabilities competing at the games in Antwerp. Carrie Doyle (26), from Dun Laoghaire, Co Dublin with mixed doubles table tennis partner Pat Dorgan (50), from Cork City, also won silver, while a bronze medal went to table tennis duo Paul Carroll (45), from Dunleer, Co Louth, and Mary O'Brien (46), from Enniscorthy, Co Wexford. Badminton player Shauna Bloom (22), from Tipperary, secured a silver medal in the singles' competition and the Irish Bocce athletes (a form of bowls) have also secured medals and placements ribbons across a range of divisions. "We're less than half way through the games at this stage and so far its been a tremendous success," said Matt English, CEO Special Olympics Ireland.